Gardening is starting to be a popular hobby of late. Many people choose it as a way to relax after a long working week of being in the office. But, no matter whether you do some light gardening or you maintain a big, luscious garden, the basic gardening tools are required, and the life and beauty of your plants depend on them. 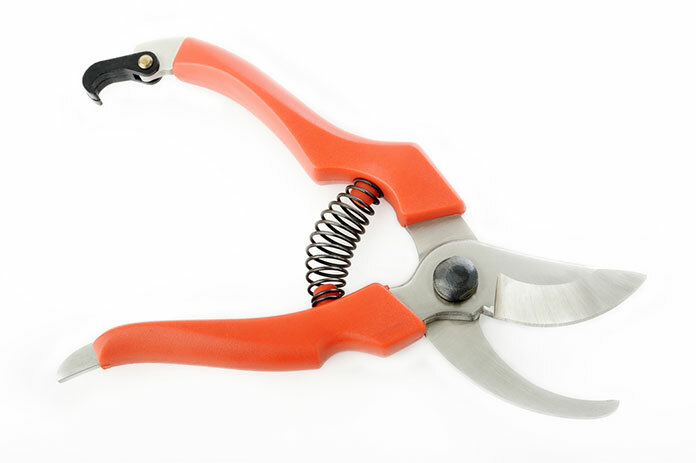 ​The most basic, and probably the most used ones, are pruning shears – hand pruners. 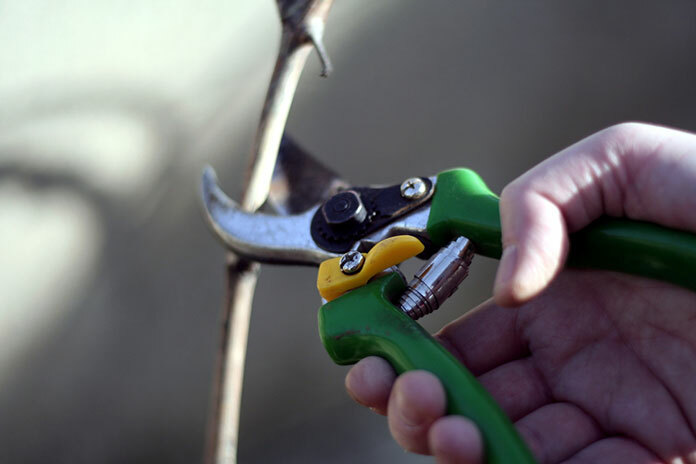 Here is what you need to know before to choose the best hand pruners for your garden. ​As the name says, the principle of these shears is like with a pair of scissors. They are the most common in gardens; two curved blades, one that is sharpened on the outside edge and one unsharpened that bypass each other and make a clean cut. ​These shears work in a slightly different manner from than bypass ones. They have a straight cutting blade that slices down on a flat edge or anvil, hence the name. It feels like you have a knife slicing on a cutting board and they can be a bit bulkier in size. People often use them for cutting dry branches. ​The combination of the ratchet mechanism and anvil shears gives you a tool that saves your wrists from an added strain while you use it by adding extra strength to your cut. This way, you have the tool do most of the cutting work with less pressure on your hands which makes them perfect if you have an illness or weak hands in general. 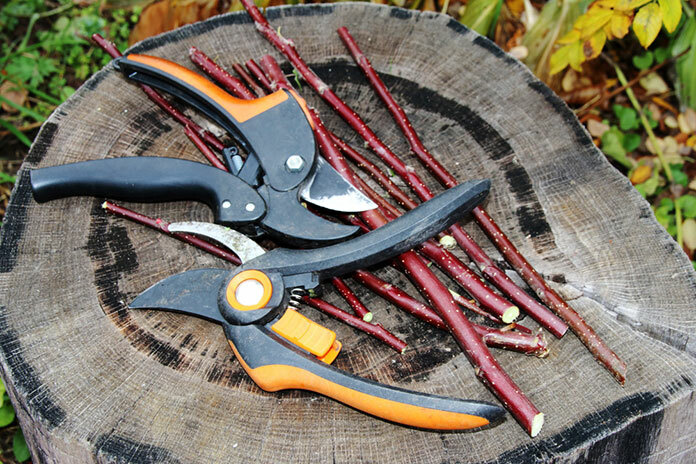 Hand size and shape – Just like many other things, pruners also come in various sizes. It is best if you can hold a pair and try them out first before purchasing. Grip/Hand strength – Strength of your hand is a major factor as well. If you have a weak grip or health problems with your wrists, then you need to consider getting a type of shears to compensate that. The frequency of use – For occasional pruning, you don’t need advanced models. On the contrary, if you’re doing some serious gardening, you can’t pick a basic model. Type of jobs – Depending on the plants in your garden, you might need shears that can cut thicker branches or shrubs and bushes. If it is mostly herbs and smaller plants, you need a simple pair of snips. Price – Like with most tools, the price is a major factor, so consider your budget and how much you are willing to spend for a pair of quality pruners. ​The material of the blade is an important factor to consider. Steel is the most common, but there are variations in quality of the steel itself. So before buying, make sure that you do some research on the brand you are getting. ​There are various coatings nowadays as well, like titanium and stainless layers that are supposed to make them more durable and also provide better quality and longevity. 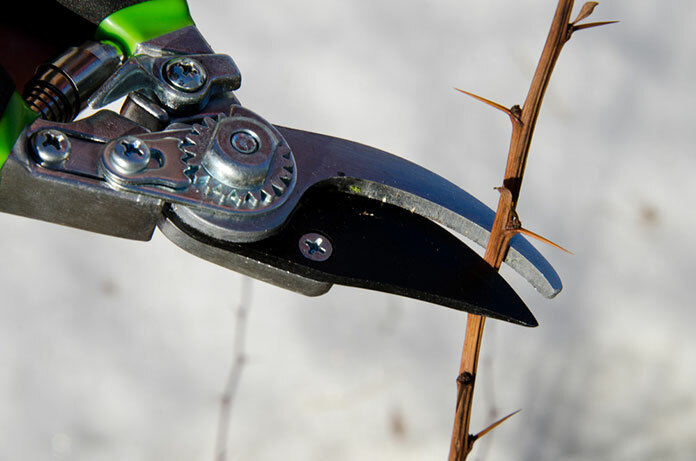 ​The length of the blade depends on what for will you use the pruners. For most ordinary work we use the 4-inch blades, and there are even 3-foot pruners used for bigger shrubbery and branches. ​Like with most tools, after some time of use, certain parts wear off and need to be replaced. Having the right replacement is important. The better the quality of the shears the more likely is that you will have spare parts available. 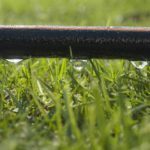 You might need to pay more at first, but it will save you money in maintenance later. 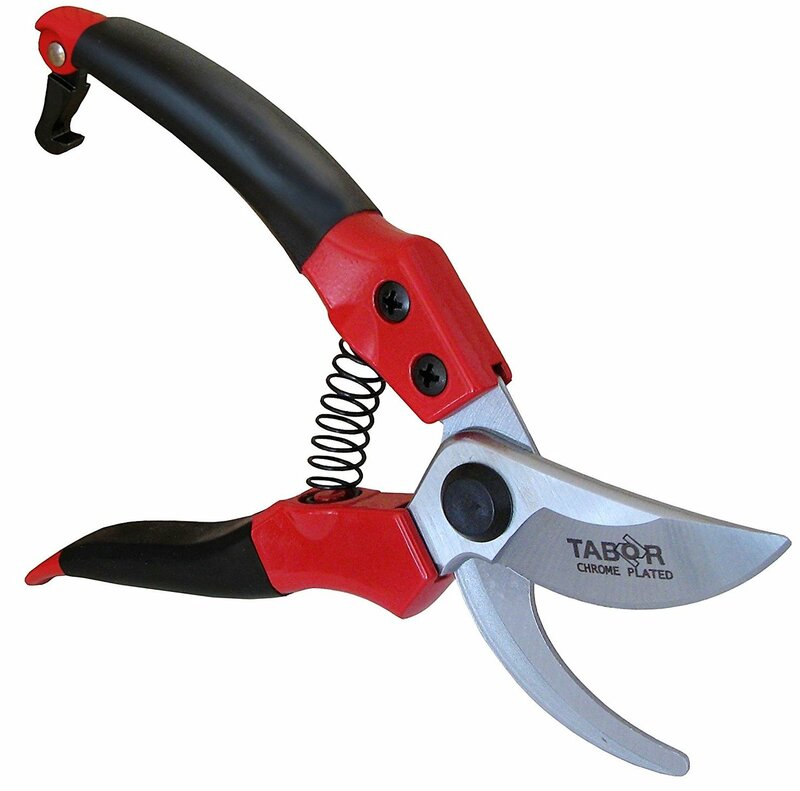 Having spares available and at hand will also save you the trouble of searching for a new pair of pruners. ​Gardening is something to enjoy while working. So, having prunes with a proper ergonomic shape to give us a comfortable working experience is something to think about when choosing, especially if you plan on using it more often. 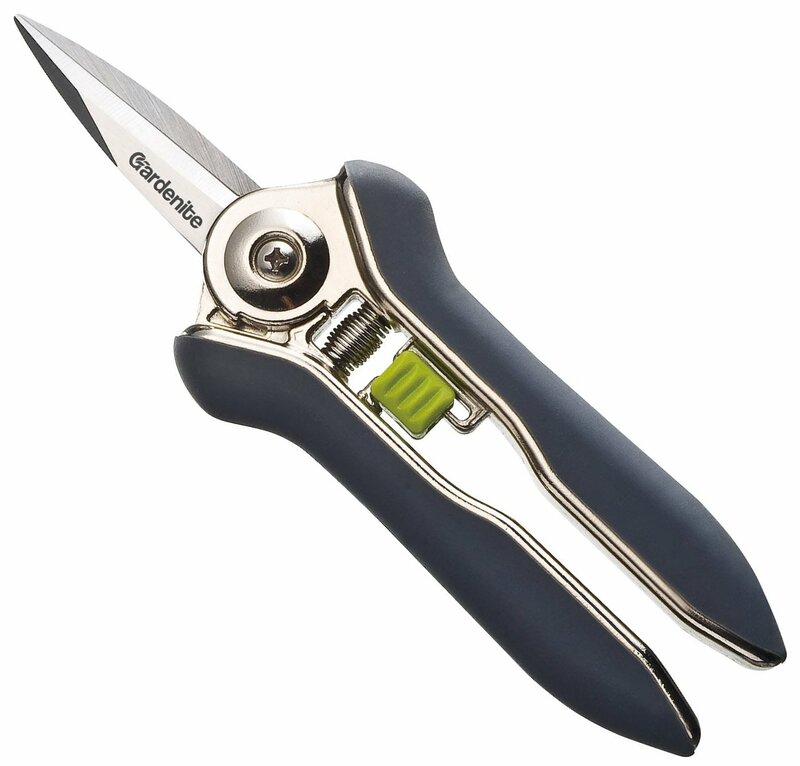 We’re talking about pruners that will give you the necessary control but still be gentle on your wrist and fingers. ​Also, having handles that are built for left-handed or right-handed people is something to consider as well. Ambidextrous models are probably the most practical because while cutting, you often change hands to reach where needed, and accidents can happen if you are not holding the shears correctly. 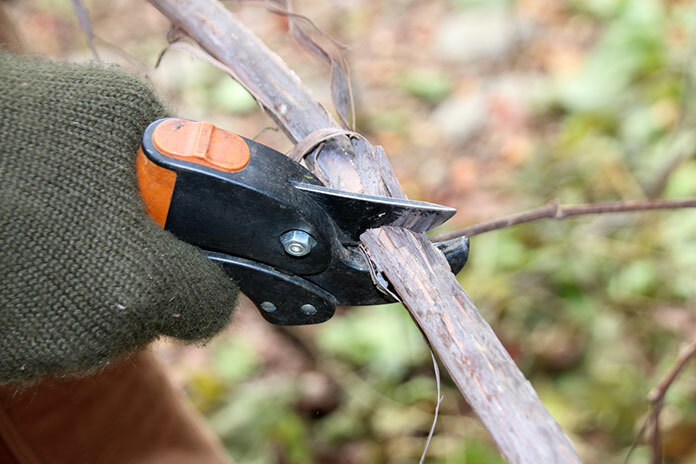 ​Another important part of pruning shears is the spring mechanism that reduces the strain of having to use our hand to move the handles both ways while cutting, like with scissors. It can be coiled metal or wire spring, but what is important in both types is that they need to be properly attached to the handles, so they don't accidentally pop out or get stuck in branches during pruning. ​For models who have these springs, a lock mechanism is needed as well. Without it, the blade can get damaged, other tools can be damaged as well, and you are likely to cut yourself while reaching for them. ​There are various types of locks – you need to find a latch that’s easy for you to open and close. It is important that once unlocked, it stays open because it can be tiring to open it every time it locks while using. From the first glance, you can see that this is a classic bypass model made not to take much space when stored, in spite being the best fit for people with larger hands. This model’s design is very easy to use because they are not bulky and can even cut branches up to one inch thick. The blade is made from a forged coronium steel alloy that can easily be sharpened and the design enables these shears to cut clean and effortlessly. Unfortunately, the form of the blade makes them prone to chipping, and if you try cutting something thicker or tricky, even breaking. But when you have a lifetime guarantee, it should not be a big problem. The rubber handles don’t slip. However, because of the slim design, there is no extra padding so it is better to use gloves while cutting or you might get blisters. 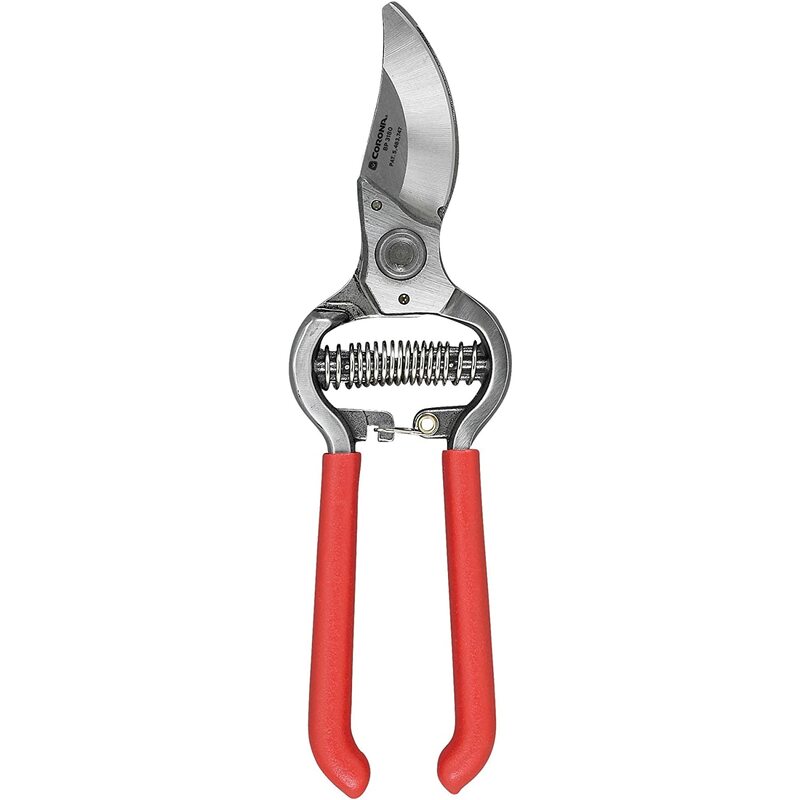 These pruners have a wire spring mechanism that is safe and won’t pop out after a while and a useful lock to keep them safe when stored away. The lock is designed in a way that won’t get in the way of cutting. These are bypass model shears but with a modern look. Size is a bit smaller – this is a ¾-inch model made for medium sized hands. They don’t take too much space for storing, but look a bit bulkier. 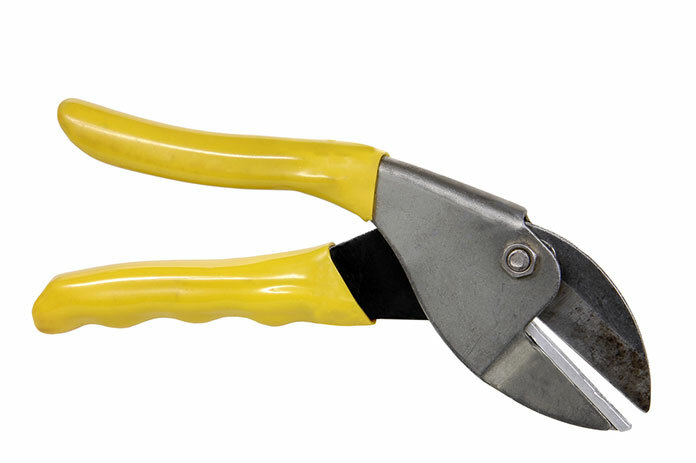 S821 shears can cut branches and plants only up to ¾ inches in diameter. The blades are carbon stainless steel with a chrome plated coat. They are very sharp and make clean cuts, and with a slightly angular head position, it is rather easy to use them. Just be careful when you cut some stronger branches, they might chip if not handled right. The handles are aluminum, which makes them light. They are also easy to grip having a softer non-slip cover on them. The lock mechanism is at the end of the handles. It doesn’t get in the way of pruning and is secure enough not to open by accident. Even though the wire spring mechanism has a shock absorption feature that is useful for people with arthritis, it is also the main weakness of these shears. It tends to pop out while pruning, so be careful not to lose the spring if this happens to you. With this classic anvil model, you will get an efficient and reliable gardening tool. It's built for larger hands and cuts up to 1 inch in diameter. A great feature this model has is the micrometric adjustment system that gives you the possibility to get a perfect cut after using it for a longer time. The blades are curved, unlike standard anvil type, and are made of hardened steel. They are also easy to re-sharp. Another great add to the blades is the wire-cutting notch that allows you to cut thin to medium thick wires without damaging the blades. 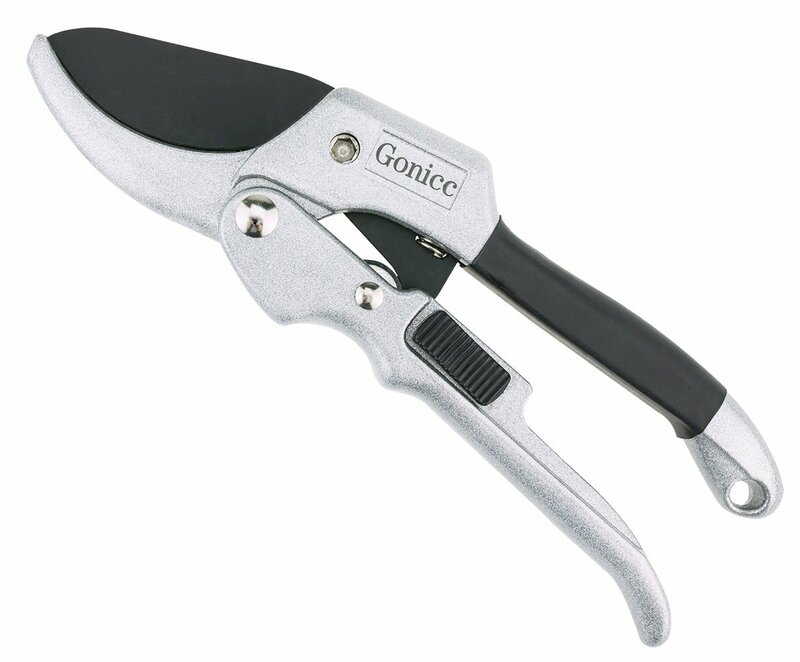 The handles have a slim ergonomic design and non-slip coating, so you have control while you prune. Together with the coiled metal spring, the cushion-shock absorber also lessens the strain on your hand and wrist and makes pruning easier. They might be a bit more expensive, but all parts are replaceable. So, if anything should happen, there is no need for a new product, hence making it affordable in the long run. Also, you can choose from the different sizes, since Felco produced many variations in models – Model 2, Model 6, Model 11, and so on. This means you can’t miss with choosing Felco as your gardening partner. 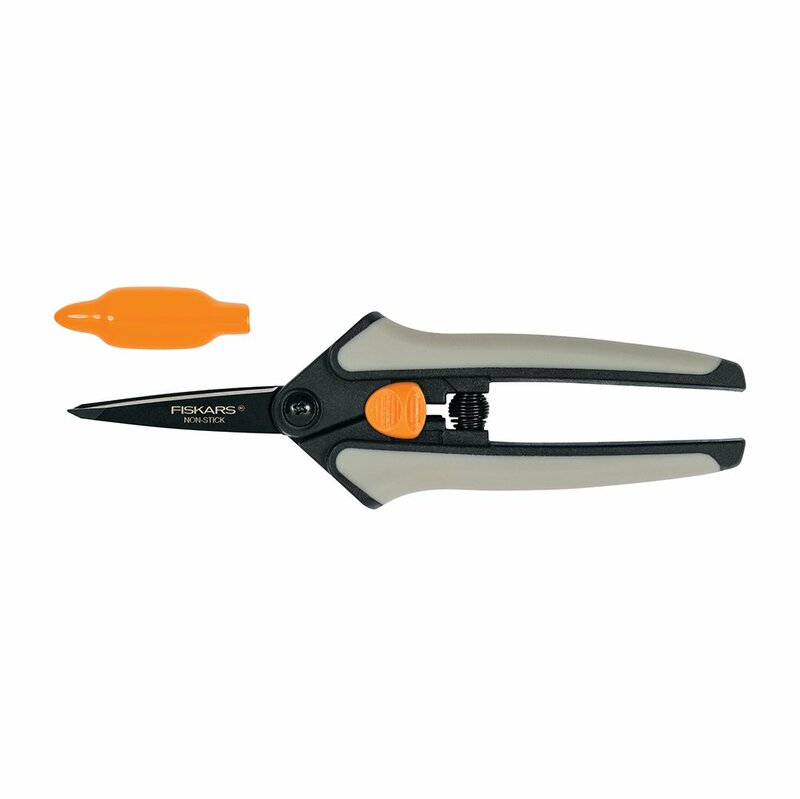 This pruner is smaller in size, and it is used mostly for sniping softer branches or flowers. The model is a bypass, but its blades are straight, unlike the standard. They are slightly heavier but easy to use. The blades are barely 2 inches long and very sharp. They are made of quality stainless steel and can cut up to 5/16 inches. Because of the sharp points of the blades, you have to be careful while handling. The handles are made of chromed zinc and have a soft rubber grip that provides proper control. However, it is possible to pinch your palm between the handles if you use them barehanded, so we advise using gloves. Another reason for using gloves is the lock mechanism. It’s just under the wire spring, and it’s made in a way that it might pinch you. It holds the shears closed properly, and that is the important thing, but it can be a bit stiff to open and close at first. The spring is made from chromed carbon steel and is very gentle in opening the shears while cutting. It reduces the strain on your wrists, but it might be too gentle because, sometimes, the scissors won't open and you need to nudge them a bit. This is another model of small bypass shears with straight blades instead of curved ones. It is a well-built model, best used for sniping softer green plants and leaves. It is made for people with small and weaker hands and arthritis patients. The blades are made from sharp stainless-steel and make good clean cuts. They have a non-stick coating as well, so a little sap from plants won’t bother you while cutting. The pointy tip of the blades makes them very precise but also makes them dangerous, so use gloves while cutting. 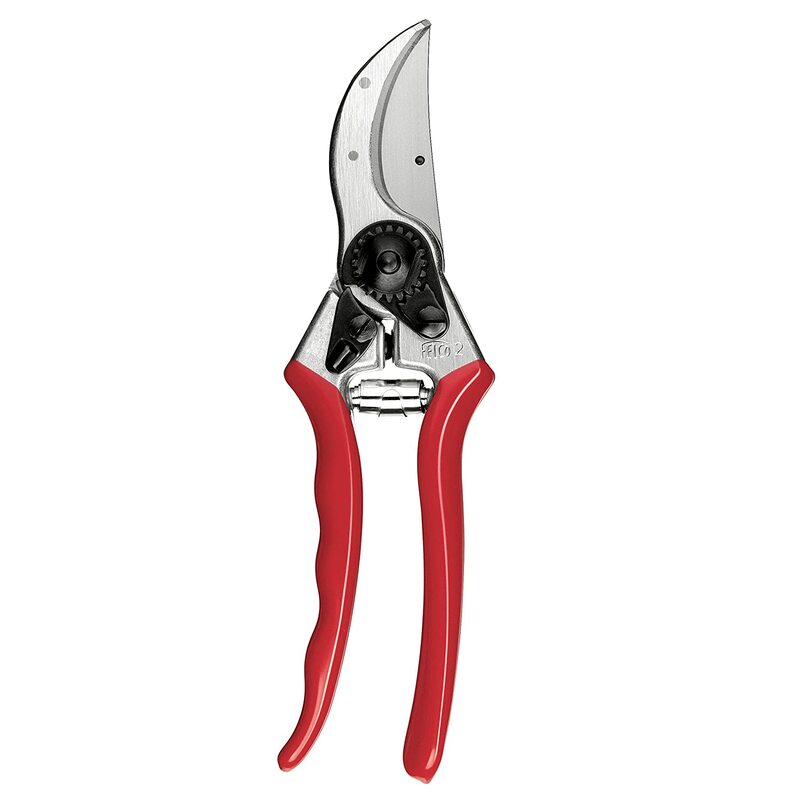 The handles have an ergonomic shape and a soft rubber grip that provides the control you need in dealing with these shears while cropping your plants. However, the two main weaknesses of this product are the lock and wire spring mechanisms. Only a little orange plastic piece is used as a lock, and it's prone to breaking under slightly more strain than usual. Same goes for the spring. It gives the relief while cutting so your wrists do not tire quickly, but it's prone to breaking or falling out. A good thing is a full lifetime warranty provided for this product that will give an option of replacing it in case something happens. 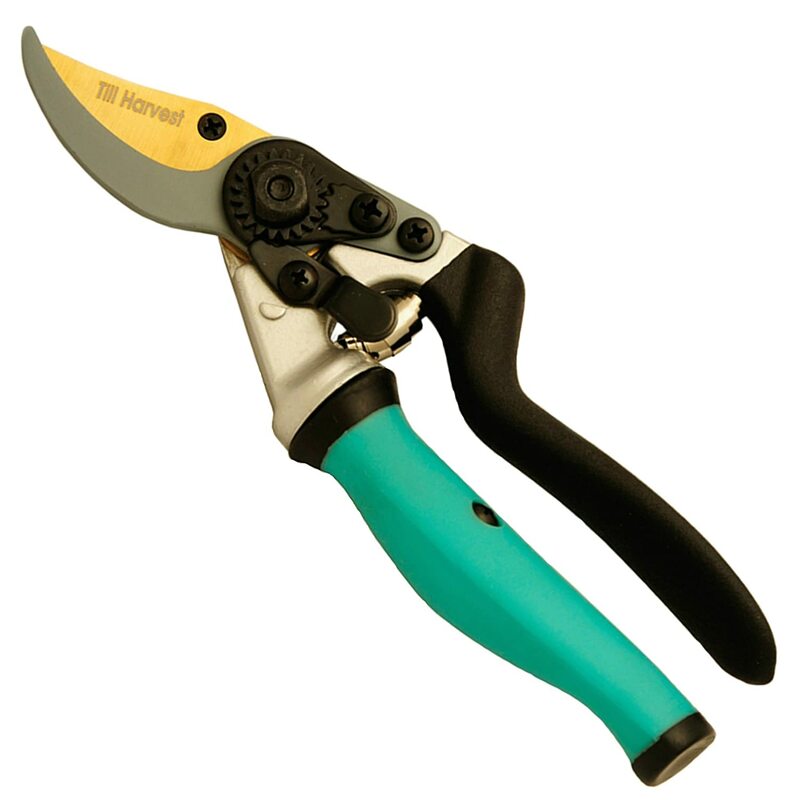 On first glance, this classic bypass pruner looks modern in its design and its standard ¾ size. But this look hides many practical features these shears have. One of those is adjustable grip mechanism so even people with slightly smaller hands can use them. Perfect for both men and women. Another is an ergonomic auto-rotating handle that is ambidextrous, so there is no extra strain while using them for longer periods of time. The swivel handle is not fit for everyone, so you should try them out first. The blades are sharp and made of high carbon steel with titanium coating which makes them sharp enough for cutting ¾ branches and shrubs. They are also suitable for pruning smaller plants thanks to the non-stick coating. Handles are lightweight and made of aluminum alloy, and the spring is a coiled metal type which further adds to the ease of use. The lock rarely needs any adjustment. It's functional, and it doesn't get in the way of pruning. With their modern design, this anvil type pruners will provide you with an effortless cutting of up to ¾ inches thick branches depending on the tree species. What makes that possible is the pulley mechanism that makes cutting easier by applying additional pressure relieving the wrist of the strain. The blades are strong carbon steel ones with chromium plating, which allows them to stay sharper for long. However, softer branches might be problematic to cut clean because anvil type blades are better at cutting dry branches. The handles are light and ergonomically designed with a non-slip coating for firmer grip and better control. The locking mechanism is also there, and it can move it with a finger. The downside is that it's made of plastic, so it's prone to breaking. Another issue is the spring mechanism that is reliable, but it gets weaker in opening the shears after some time. With a lifetime warranty though, there is no worry. ​With all the information we now have about hand pruners, it is impossible to pick a single one as the winner. They each have their strengths and weaknesses; each has features that some of us will find very useful while others not. 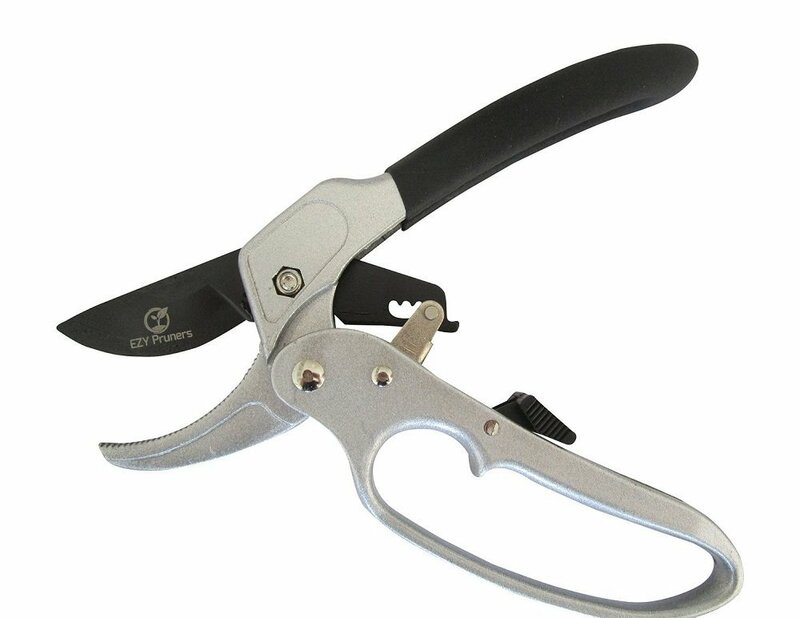 ​If we were to pick one that summarizes all, the most practical one and the best pick would be the Till Harvest Traditional Bypass Pruning Shears (#6). It's adjustable, cuts well, and the price is affordable. ​However, no matter which product you choose from this list, you will get a tool that meets your needs, a tool you will enjoy working with.